(CN) – The Trump administration on Thursday formally proposed rolling back Obama-era vehicle emissions and fuel economy standards that were intended to nearly double passenger behicle’s fuel economy and halve their carbon emissions by 2025. California Governor Jerry Brown responded the Trump administration announcement Thursday by saying, “for Trump to now destroy a law first enacted at the request of Ronald Reagan five decades ago is a betrayal and an assault on the health of Americans everywhere. “Under his reckless scheme, motorists will pay more at the pump, get worse gas mileage and breathe dirtier air. California will fight this stupidity in every conceivable way possible,” the governor’s statement said. Brown’s disdain for the action was echoed by Californina Attorney General Xavier Becerra, who said, “The Trump Administration has launched a brazen and unlawful attack, no matter how cloaked, on our nation’s Clean Car Standards. The administration’s action on the standards has long been expected, and while Thursday’s release doesn’t directly reference California’s federal-exemption for creating harsher standards, Wheeler’s mention of a “50-state solution” could lead to an attempt to limit the state’s power. The twin moves effectively trash car mileage standards put in place by the Obama administration and would dramatically curtail California’s long-standing ability to create its own mileage and emissions standards. The original, enhanced standards were born out of a compromise between the state of California, automakers and the EPA under President Barack Obama, which lead to what was considered one of his signal environmental accomplishments. 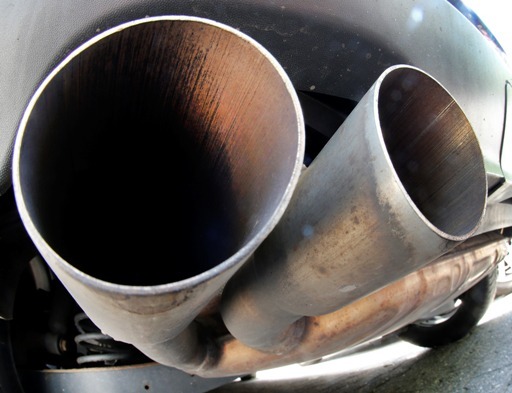 But the rollback of the mileage standards is more than just another attack on Obama’s legacy by the Trump administration, it also signals a willingness to stab at the heart of efforts to curb emissions and reduce the hazards to health and environment they pose. When it comes to emissions, no state has been more active and more ahead of the curve than California, which began regulating emissions and mileage nearly 70 years ago — more than 20 years before the federal government enacted the Clean Air Act. The amendment gave the state the power to ask for waivers to increase their standards — and their exception gave room for other states to do the same. Now, about a dozen states impose emissions regulations that are more stringent than those of the federal government. And the impact from these regulations can be seen outside those participating state’s borders. Car dealerships located near state lines sell cars that to meet neighboring standards which has put the total number of drivers impacted at around 40 percent of the U.S. population. In order for California to expand their standards, the state requests an annual waiver through the EPA, and their request was granted every year until 2008 when President George W. Bush’s administration rejected the state’s request. California sued, but President Obama came into office before the case was heard. Instead of simply granting the requested waiver, the new president incorporated stricter federal standards for vehicle mileage under the Corporate Average Fuel Economy or “CAFE” standards. The standards were created in the wake of the 1973 Arab oil embargo. Their overarching goal was to reduce U.S. dependence on foreign fuels. In 2012, the Obama administration sent the standard at 54.5 mpg for cars and light-duty trucks by Model Year 2025. This plan doubled the expected efficiency standards at the time. Obama sold the idea as both a matter of environmental and economic security: Americans would pollute less and spend less on gas. And while the auto industry worked with Obama to help develop the standards, they began pushing for them to be rescinded within weeks of President Donald Trump taking office. But clean air activists are already questioning the administration’s moves and a protracted legal fight is expected. Magavern has been involved in the state’s fight for clean air for about 30 years, and he and his organization believe the California approach to curbing emissions has been an unqualified success. “It’s a way to reduce emissions, it also saves consumers billions at the gas pump,” he said. He pointed to the last Obama-era review of the plan, released just before Trump took office in January of 2017, which included nearly 1000 pages of data and research detailing the benefits of the mileage rules and emissions limits. He then pointed to former EPA head Scott Pruitt’s 11-page report released in April rebuking it. “Half of [Pruitt’s report] was quotes from auto lobbyists,” Magavern said. After today’s notice of proposed rulemaking a 60-day public comment period will be held with three un-scheduled hearings for Washington, D.C., Detroit and Los Angeles .